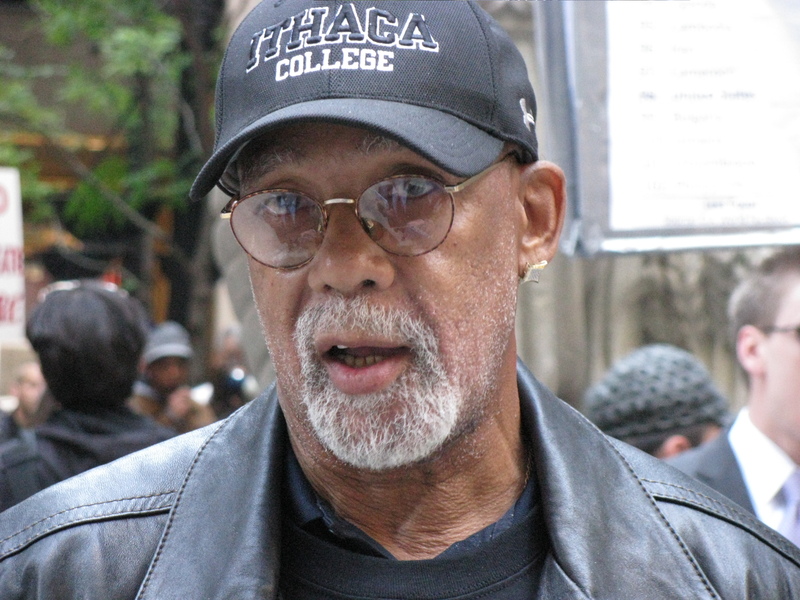 Dr. John Carlos is a medaled USA Track and Field Hall of Fame athlete and Olympian. Competing in the 200 meters, he earned the Gold in the 1967 Pan American Games, and the Bronze in the 1968 Olympics. A record setter, Dr. Carlos led San Jose State to its first NCAA championship in 1969 with victories in the 100 and 220, and as a member of the 4×110-yard relay. He also set indoor world bests in the 60-yard dash and 220-yard dash at the 1967 Pan American Games in Winnipeg, Manitoba, Canada. Dr. Carlos made world history during the 1968 Olympics in Mexico City, Mexico, when he took to the international stage during the medal ceremony and made a speechless statement, heard and seen worldwide. Winning the 200 meter, John Carlos accepted the Bronze medal at the Olympic podium wearing black socks and no shoes to represent impoverished people who had no shoes of their own, and raised a black-gloved fist crowning a bowed head to humbly reflect the strength of the human spirit. 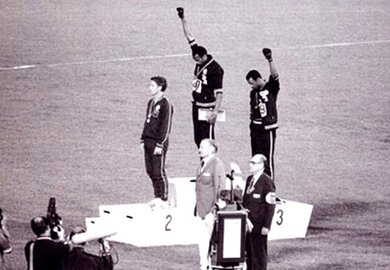 Carlos was joined in his statement by teammate and gold medalist Tommie Smith, and both were supported by silver medalist, Australian, Peter Norman who wore an Olympic Project for Human Rights badge. – Dr. Carlos, you are one of the symbols of the protests for human and social justice in America from the 60’s. Why 40 years later, this struggle still continues today in the country? – I think this is happening not only in America. Human and social rights have problems on worldwide bases, not only here. We still deal with these issues, because we are very slow learners. And particularly slow learners, when it comes to the very tender areas to deal with, as race and economic relations. The power brokers do not want to have any discussion or a dialog with those who have no power, to resolve these issues. We have to keep driving it until they understand it. If we do not learn from the lessons from the past, we will be on the process of destroying the society, as we know it. – I saw you few months ago at the Occupy Wall Street in Chicago. Why do you support the movement and what we, the people from Bulgaria can learn from it? – First of all you have to understand that all these people at the Occupy Movement, are fighting for the same issues we were fighting in the 60’s. And the spectrum now is getting bigger with all sources of ethnic groups that are getting involved in it as – Whites, Asians, Blacks, and Hispanics. Everybody is concern about, how their live will look like in a few years. Will they have jobs, will their kids go to college. Will they be able to pay the students loan, when there are not jobs. Will their homes be taken away, because can not pay the mortgage.